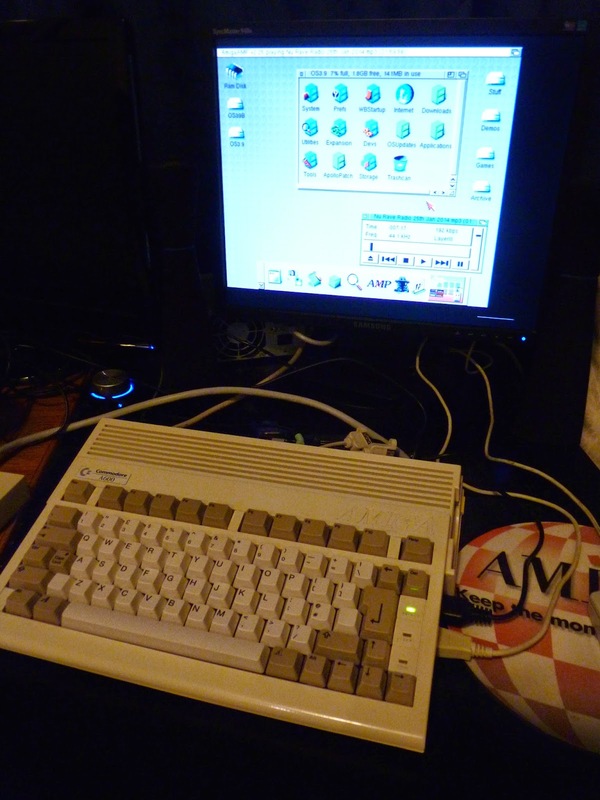 Today, as my final bit of upgrade work for the past weekend, I am installing the MAS Player Evolution on the Amiga 600. 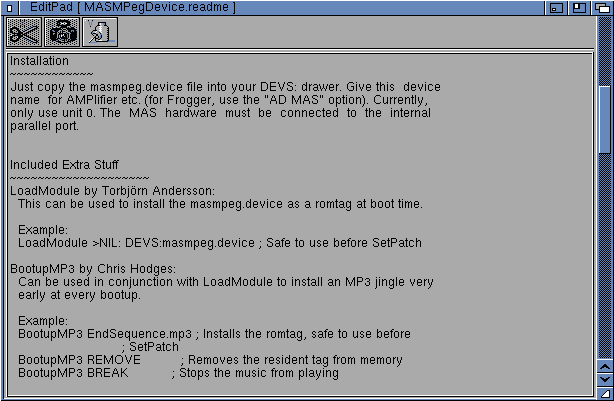 The MAS Player Evolution is a device for playing back MP3 music files using hardware attached to the Parallel port. Playing MP3 files at full quality on a Classic Amiga running less than a 68060 has always been a impossibility due to the limitations of the CPU speed. 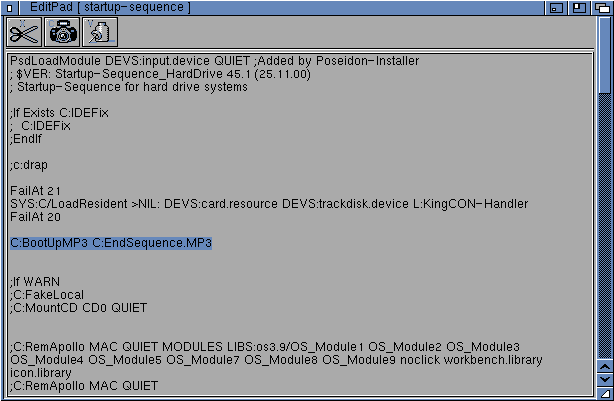 Amiga Sound cards with DSP functionality (eg. 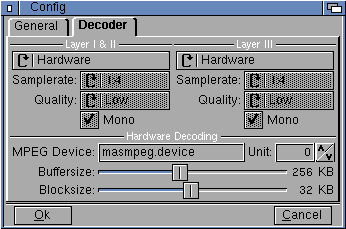 Delfina) can offload the MP3 decoding task to a separate processor, making it possible to play MP3 files under AmigaOS3 while doing other tasks. However, most of the sound cards are intended for big box Classic Amigas like A2000/3000/4000. 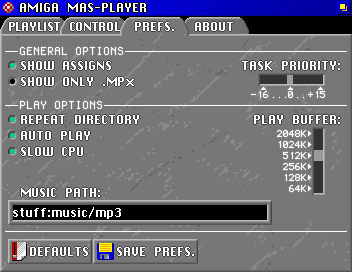 MAS Player Evolution is different - it was designed with the Amiga 500/600/1200 in mind. It plugs into the Parallel port, and drivers redirect audio to it via the Parallel port. It was built and sold by AmigaKit and is available to purchase from their website www.amigakit.com. The device itself contains a audio out port, a mixed in RCA cable set (so you can feed the native Amiga audio out via the MAS Player). This provides one output audio port for all the audio. It also needs the joystick (or mouse) port, and a connector is included for the purpose. A pass through joystick port is included on the MAS Player hardware to allow you to still connect a joystick or mouse to it as normal. One more view of the back of the Amiga 600 showing the MAS Player hardware plugged in. You can also see the Indivision ECS VGA out and Subway USB cables too. I hope to do something a bit more elegant that just make a hole, but we'll see how it pans out later! 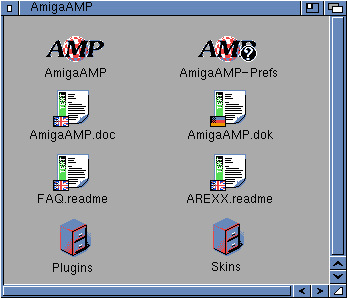 Note that you also need to download the latest version of AmigaAmp for Classic Amiga (2.25) from www.amigaamp.de. 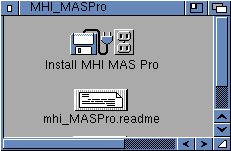 The read me says you can run a mp3 on boot! I used the test sample MP3 provided (endsequence.mp3) which played back perfectly via the MAS Player. Although the output was slightly better as promised, it still stutters playing back MP3 at 192kbps. Since most of my music is that rate, this is an issue for me. I then went to the shell, and went to the folder I copied the AmigaAmp folder to. I copied AmigaAmp to AmigaAmp.old, and copied AmigaAmp.NOFPU to AmigaAmp. 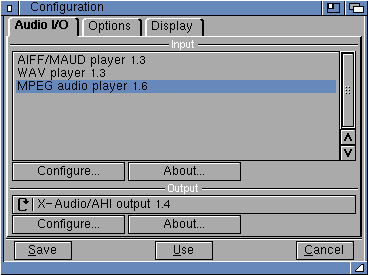 This is necessary as the ACA630 accelerator does not have an FPU installed, so AmigaAmp will not run unless you run the noFPU version..
Because of the 8 colour workbench, I turned off the Skin mode on all music players, as the skins render terrible in 8 colours. 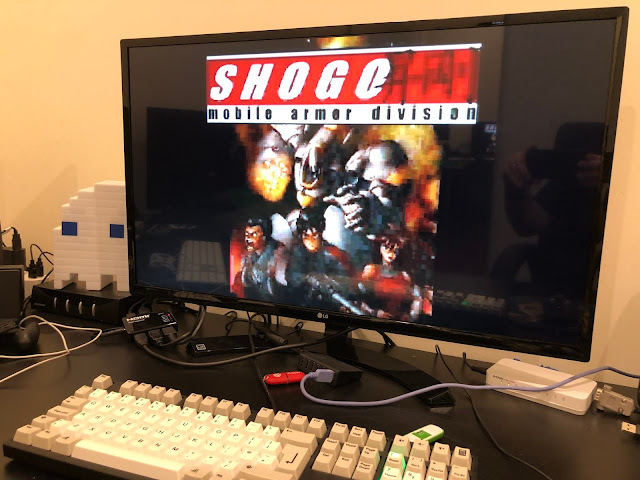 So the AmigaAmp player above looks a bit simple compared to it on my A4000T, but it still works of course! A major limitation to keep in mind though. 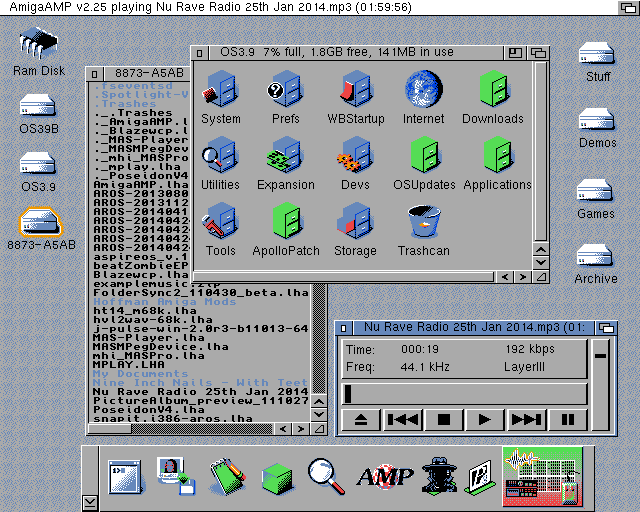 You can't play back 256kbps MP3 files without stutter, no matter how much buffer and CPU priority you give to AmigaAmp. Also bear in mind if you own a A500 that MAS Player really does need a 68020 or greater in it. The AmigaKit information suggests keeping to 128kbps or less if you have a 68000. I can't test this, but it is something to keep in mind. For the playback of 192kbps or less files on my Amiga 600/030, MAS Player Evolution is great, and really allows the Amiga 600 to do something it would not otherwise be able to do! For the next part of the Amiga 600 upgrade I will be looking at setting up the network support. This always causes problems usually so I expect it will take a bit of time.